Ride the Machine: The motorcycle in cinema-Super Cub: The Movie. 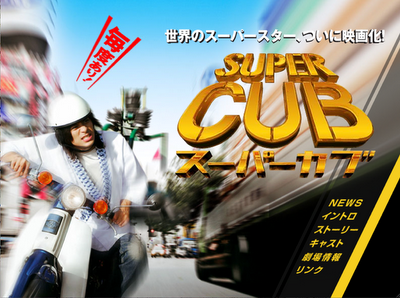 "The most famous bike in Japan is the Honda Super Cub (with 60 million sold worldwide) Here a never before seen high-speed action Super Cub movie is born. Our hero delivers soba (Japanese noodles) to customers on his bike. Not only for his job, he also heats up his Super Cub for his friends.This tense action movie delivers love, friendship and Soba !! !The world was starving for such an unusual action movie !!!" Holy hell! I gotta see that! Bahaha!